Former NFL players who allege they were overmedicated and pressured to return to the field despite injuries that had not fully healed can’t sue the NFL for ending their careers early, the 9th U.S. Circuit Court of Appeals at San Francisco ruled Wednesday. A three-judge panel of the court held that the players waited too long to file their Racketeer Influenced and Corrupt Organizations Act claims, which have a four-year statute of limitations, report Law360 and Courthouse News Service. The NFL career of the most recent plaintiff, Jerry Wunsch, ended in 2004, which means his RICO claim would have expired in 2008, the court said. That was eight years before the players amended their original complaint that alleged the NFL perpetuated a “return-to-play” scheme to include a RICO claim in November 2016. 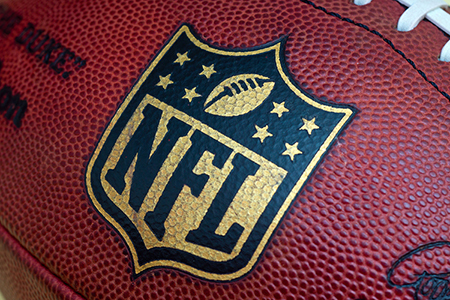 “The possibility that plaintiffs may have discovered their allegedly diminished post-NFL business prospects after 2004 does not render plaintiffs’ RICO claim timely,” the court said. The lawsuit was filed in federal court in Maryland in May 2015 before it was transferred to California in February 2016, according to Law360. Etopia Evans, the widow of late Minnesota Vikings and Baltimore Ravens player Charles “Chuck” Evans, joined six former NFL players in the lawsuit. The 9th Circuit affirmed the lower court’s dismissal of the case.